﻿﻿De﻿bs qualified as a dentist in ﻿1992 and has spent her working lif﻿e limiting her practice to Oral and Maxillofacial Surgery in both the hospital service and general dental practice. 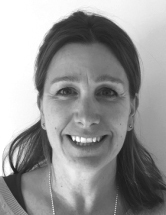 Kathryn qualified as a dentist in 1986 and has worked as one of the principal dentists in the Sunbury Dental Practice. She became a partner here in 2000. Kathryn gained a postgraduate qualification in Restorative Dentistry in 2009 from the Royal College of Surgeons and has a special interest in complex restorative treatments and aesthetics. Kathryn actively encourages her patients to have properly fitted mouthguards, as she has first hand experience of the length of time and the cost of the treatment needed to restore the teeth if they get injured.